Herfoss trailed Wayne Maxwell (Yamaha Racing Team, YZF-R1M) for much of the day before landing the quickest time, late in qualifying two. Herfoss has fond memories at this circuit as he claimed a win here in 2017, and with the pace shown in qualifying, Herfoss has put himself right in the position to repeat that performance after recording a 57.269. Herfoss sharing; “That qualifying session was action packed! We’ve been struggling to match the pace of Wayne throughout the weekend so far. We knew we had to stretch ourselves to get that pole position. Today we’ve been trying to find that one lap pace as well as prepare ourselves for tomorrow. I don’t feel 100 percent happy with the front end yet. We managed to find the time and I wasn’t aware that I was on pole position. “I saw Wayne (Maxwell) line up for a hot lap and what do you do in that situation. I jumped in there and had a look at him. Hats off to Wayne, he did a great job as always, but we’re right at the party now and we’re ready for tomorrow,” Herfoss finished. Maxwell will start from second on the grid after clocking a 57.360, but will have great confidence going into Sunday’s racing, after being fastest in Friday practice. Defending 2017 YMI Superbike champion Josh Waters (Team Suzuki ECSTAR, GSXR-R1000R) will also be on the front row, after qualifying third fastest with a time of 57.784. Waters will be out to try and claim his first win of 2018, after multiple podiums at round one. 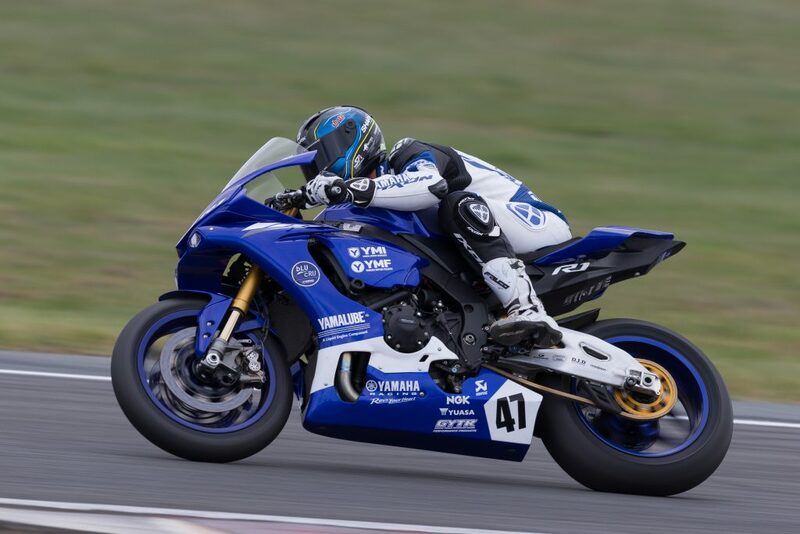 Daniel Falzon (Yamaha Racing Team, YZF-R1M) landed in fourth position after qualifying two, with a time of 57.862, putting him in contention to cap off his weekend with a race victory. 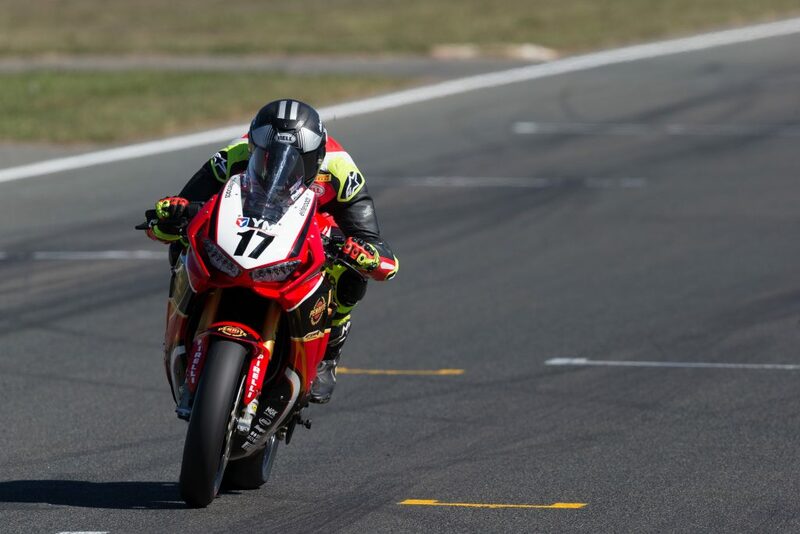 A surprise packet this weekend, has been former Australian Superbike Champion Jamie Stauffer (Craig McMartin Racing, Ducati Panigale R) who will start from fifth position, after stopping the clock at 58.247. Bryan Staring (Kawasaki BCperformance, ZX-10R) will start from sixth on the grid, with Troy Bayliss (Desmosport Ducati, Panigale FE) in seventh, Glenn Allerton (NextGen Motorsports, BMW S1000RR) in eighth, Michael Blair (Michael Blair Racing, Yamaha YZF-R1) ninth and rounding out the top 10 Matt Walters (Swann Insurance Superbike, Kawasaki ZX10R). Qualifying is out of the way and now the racing begins, and if the action is anything like Round 1, ASBK is set to thrill again. The racing will begin at 11:00am with Race One and then the final race will be at 1:35pm. Can’t make it to the track this weekend? Then make sure to watch ASBK action on SBS 1pm-3pm AEDT, Live on Fox Sports 1pm-4pm or Live Stream asbk.com.au, from 9:30am AEDT Sunday March 18.